You may have noticed that the market today is full of home appliances, and more vacuums to be specific. This is because there are more manufacturers now than ever before. There are classic, slim and upright vacuums out there. However, when looking for a good vacuum cleaner for your business, it is advisable that you get a canister vacuum cleaner. This is because they are the best for removing dirt and debris from hard floor surfaces and carpets of rooms that experience high traffic. One of the best from this category is the Hoover Commercial CH32008 Hush Tone Canister Vacuum. There are so many reasons why this machine is a top seller in many stores. So here is a look at why you should consider getting yourself one. One of the most annoying things at work is being unable to concentrate on whatever you are doing because the vacuum cleaner is too noisy. It is also unbearable for your customers. This is normally the case with most machines in the market. However, the Hoover CH32008 stands out since it is very subtle and quiet despite being a unique combination of high performance and power. This is because it is equipped with something called the Hush Mode. This feature enables the device to be quieter. When in Hush Mode, the device produces less than 62 decibels of noise which makes it quiet than most in the market. The device also has an eco-mode. This mode can be easily activated by an easy-to-press foot button right at the bottom. This is a feature that allows you to save money on energy cost. Other than that, Hoover CH32008 allows you a 10 1/2″ cleaning path since it comes with the combination tool to help you achieve that. This means you can cover a lot of ground in one pass and attend to your clients if you must. 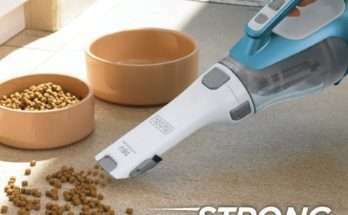 The vacuum cleaner makes cleaning up spills and dirt much faster than what you are used to. 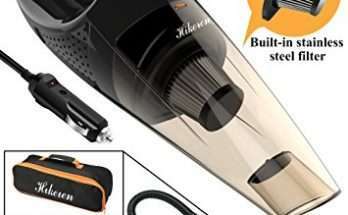 You may decide to buy the most expensive vacuum cleaner from the most reputable brand, but without a proper filtration system, it is simply a waste of money. If you want your business area to be clean and free of dust, germs, bacteria, and debris, it is always advisable to invest in a device that has a good filtration system. The Hoover Commercial CH32008 Hush Tone Canister Vacuum has a HEPA filter bag that works perfectly. With this system, the vacuum is able to filter up to 99% of all pollen, dirt, and dust from your business room. If you are allergic to dust or run a business and you don’t want to run the risk of losing allergic customers, this device that stands out from commercial vacuums is what you may need. The bag is able to trap dirt, pollen, and dust to 0.3 microns, which happens to be thinner than the human hair. Even if you aren’t allergic, this cleaning ability allows you to have a peace of mind. The unique design of the Hoover CH32008 really works to your advantage when you get hold of the device. The buttons and controls of this vacuum have been conveniently placed to help you switch it on and off with ease. You can also switch from one mode to another quite easily. The lightweight of Hoover CH32008 is certainly the other factor that adds to the ease of use of this device as it only weighs 10.75 lbs. So cleaning a room or moving from one place to another is effortlessly easy. If you have tried conventional vacuum cleaners before, you may have noticed that they were annoying since you had to bend over to constantly change outlets. That problem has been solved by the Hoover CH32008. The device comes with a 50 feet long cord. This means that once you plug it in, the only duty you will have is to clean the business area and nothing else. You can move around the entire area without having to change the outlets. Since the manufacturer of Hoover CH32008 wanted users to have a device that could do more than just cleaning, they added other attachments to change the way you are used to cleaning. 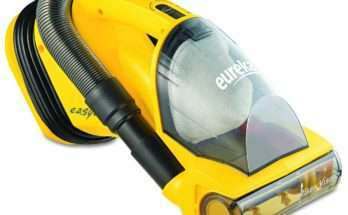 If you need to make the hard-to-reach places clean, the vacuum machine comes with extension tubes to provide a longer reach. There is also a crevice tool and dusting brush that allows you to clean areas high above the floor and tight corners.